← Tensions in the Balkans: is Serbia preparing to recognise Kosovo? 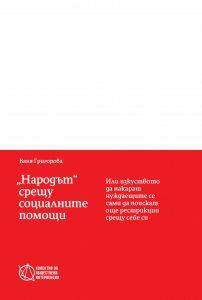 The article was originally published in the portal of the Bulgarian left, New Left Perspectives. KOI’s 2018 report “The people” against welfare payments: or the art of making those in need ask for more restrictions against themselves authored by Vanya Grigorova is a follow-up of an earlier, 2016 report entitled Poor against poor. That previous report detailed the ever-proliferating types of welfare payments existent in Bulgaria, the common misconceptions about them, and the discursive and policy stratagems the Right deploys to limit access to the social safety nets. The main thesis, then and now, is that the political class and the media rely on a false narrative about the ostensibly “generous welfare system” in Bulgaria and on racist tropes about “minorities abusing the system” in order to justify each round of savage cuts. Grigorova’s report dispels this myth and proves that Bulgarian welfare cannot guarantee decent life for none of the ever-dwindling number of people (of whatever ethnic background) who manage to pass the draconian criteria for receiving welfare. Another issue the report takes stock with is the widespread confusion (even among experts and reformers) between the social security and the welfare systems. Too often experts and politicians justify austerity by reference to the supposedly bloated and unsustainable “welfare budget”. Grigorova shows that the source of this confusion is that they lump under this vague category both welfare (which comes from the state budget) and the social security payments (which every worker makes out of their own salary), amounting to a manipulation that aims to build a social consensus for the cuts. The revised and expanded version differs from the previous report in that Grigorova has conducted an informal and unrepresentative survey among current and former welfare beneficiaries. The responses have helped her tentatively map the types of attitudes to the welfare state. These range from racist statements such as “lazy minorities defraud the system” (which are peddled by the mainstream media as well as politicians, and not only by the far-right!) to personal experiences with the obstacles standing in the way to getting benefits. Some respondents, who otherwise hold themselves knowledgeable of the intricacies of the welfare system, display the confusion mentioned above: namely, they cannot tell the difference between welfare and social security contributions (yet 79% of the respondents are college-educated). The most significant result of Grigorova’s survey is in showing that the negative assessments of the social welfare system stem from personal experience of trying and failing to obtain payments. Based on this, Grigorova argues that the restrictive access fuels discontent with the system, gives credence to the myths about the “undeserving welfare scroungers” and nurtures support for austerity measures. The upshot is that people are less driven into supporting austerity by libertarian ideology than by the unjust nature of the system, and this is confirmed by the fact that the overwhelming part of the responses indicating positive attitude to the welfare state come from people whose needs were met (mirroring the correlation between rejections and negative attitudes). In other words, social consensus for austerity is produced by putting “poor against poor” for the crumbs of the welfare state, leading to discursive strategies to isolate “deserving” demographics that do not shy away from deploying racist tropes against i.e. the Roma (including class racism). This shows that the political statements about “welfare fraudsters” peddled by the media are efficient not in their own right but because they resonate with the humiliating personal experience with the system whose cruelty is explained away by reference to some “Other enjoying welfare instead of me”. One obvious measure to mitigate the socially disintegrative effects of racism is to replace the production of social competition via austerity with comprehensive social safety nets that leave no-one behind. Grigorova contends that the welfare state breaks with its previous objective to protect the dignity of its “clients”. Instead, it has turned into a humiliation machine by rejecting destitute applicants because their income exceeds the limits by a few cents; or by subjecting successful applicants to a harrowing bureaucratic procedure in order to receive amounts far below any recognizable thresholds ensuring decent lives, while having to endure constant media vilification. Yet, despite the ever-dwindling pool of recipients of welfare, every election is dominated by promises on part of the political class to cut the payments by singling out some social group and framing it as “welfare scroungers”. The groups most commonly selected for vilification are ethnic minorities, the disabled and the unemployed. Both the center- and the far-right coalesce on the issue, revealing the very liberal, austeritarian economic orthodoxy sported by the so-called “anti-establishment” parties. One of the effects of the restricted access to welfare and the stingy nature of the payments is self-elimination. This process contributes to the expansion of what Grigorova calls “gray poverty”. “Gray poverty” is a counterpart to that ‘staple food’ of economists and analysts of “gray economy”. Where “gray economy” purports to capture the share of shady and unaccounted/untaxed business activity in an economy, “gray poverty” comes to measure the people who have fallen out of all conceivable forms of safety nets; the unaccounted-for poverty. Grigorova tries to develop her own methodology as no reliable state measurements exist (presumably the state does not care to develop one, mirroring its lack of concern for the poor). To this end, she uses the state-defined poverty threshold of 314 BGN (161 EUR) for 2017. Grigorova presents a break-down of the types of cash flows constituting this income: pensions and salaries make up the overwhelming amount, with 77.5% (51.1% from pensions, making Bulgarian pensioners into the country’s most vulnerable to poverty demographic); the various benefits and safety-net transfers amount to a meager 8.8% (or 27 BGN monthly). So much for the so-called “generous” Bulgarian welfare state which ostensibly makes its “clients” lazy. Furthermore, over 75% of this income goes towards meeting daily expenses such as food, medicine and utilities (making working and retired Bulgarians the people with the lowest disposable income in the EU). While the media and the far-right vilify beneficiaries of welfare transfers by alleging that they spend it on alcohol and cigarettes, Grigorova shows that these products take only 5.6% of the 22 BGN of welfare they get per month. To make matters worse, these pitiful payments do not even reach the entirety of people who need them. This is where the term “gray poverty” coined by Grigorova comes in handy: it is the people who have fallen completely out of board and the welfare system neither sees, nor reaches them. Оver 30% of the Bulgarian population live in extreme poverty, according to the report. The EU average is 6.7%. (Also, the share of the Bulgarian budget dedicated to the fight against social exclusion is 9 times less the EU-average). Bulgaria occupies the “place of pride” in the EU-28 in that regard. Among the most vulnerable demographics that the term “gray poverty” covers are the so-called “working poor” – 315,000 people (or 10% of the employed), the unemployed, pensioners, people with disabilities.. This figure swells when Grigorova adds the number of people without health insurance – a whopping 719,000 or slightly above 10% of the population. The only support the 1,4 million poor pensioners can rely on is the so-called “targeted heating benefit” which meets the costs of heating utility during winter. This benefit reaches most people, so Grigorova uses it in her methodology to determine the scope of “gray poverty” as no official figures exist. Only 204,635 have received it of the 2 million poor; while only 1.6% or 33,422 persons have received food and other basic necessities. These numbers demonstrate the extent to which the so-called welfare system has become completely unreachable for those who need it the most. And while the Bulgarian state pretends it does not notice this vast ocean of poverty and destitution it is sitting on, the European Commission actually takes notice and has issued warnings in its annual reports about Bulgaria. In 2018, the EC argues that Bulgaria has both the lowest welfare transfers and the lowest rate of poverty and inequality reduction after redistribution, showing that far from being “generous”, the Bulgarian welfare payments have little noticeable effect on poverty alleviation. The Bulgarian Ministry of Finances, however, commented on the EC report in the following way: “the Roma still face challenges in the sphere of employment, education, healthcare and housing”, thus lending a problem that affects nearly half of Bulgarians an ethnic clout. Once colored ethnically, poverty is no longer perceived as everybody’s problem which in turn opens the way to further cuts and makes the alignment of Roma and non-Roma population behind progressive welfare politics impossible, argues Grigorova. Apart from (mis)representing poverty as a problem of (undeserving) ethnic minorities, further tactic of the austerity regime to enforce cuts is to paint recipients of welfare payments as fraudulent. The prime target of this discourse are the disability pensions. A little over 500,000 Bulgarians receive disability payment in one form or another, with 88.8% of these below 300 BGN (so again below the official poverty line). After careful revision of the available statistics, Grigorova proves that only 0.5% disability pensions have been proven fraudulent cases. Another problem Grigorova applies herself to illuminate is the often neglected difference between welfare and social security payments. They are different things but get constantly amalgamated by experts and political elites alike in order to symbolically inflate the redistributive share of the budget and thus shock people into accepting cuts. For example, last elections elicited “promises” on part of many a candidate to put an end to the “career of the unemployed” or “the welfare mother”. This rhetoric deliberately confuses maternity pay with welfare transfers such as the heating benefit. Welfare and social security payments are of completely different order: in Bulgaria workers pay share of their income to social security funds such as the Unemployment Fund in order to hedge around market risks such as redundancy. It is the same with maternity allowance. In Bulgaria there are no welfare transfers for the unemployed; the latter simply receive their own money (if they manage to overcome the bureaucratic hurdles). In that respect, Grigorova argues that cuts are a further affront against the rights of working people; their social security rights. And since they pay from their own income against future risks, I would add that cutting and denying these payments (as often happens) constitutes also a theft. Maternity allowance is further delimited as here gray poverty combines with the “gray economy”. In Bulgaria many workers (are forced to) declare lesser income and correspondingly pay less tax and less amounts towards their social security. There are two principal reasons for this. Firstly, when your salary is already low, and you are hard pressed by urgent current expenses, you are inclined towards paying less tax and social security. Precarity and poverty thus work to directly foreclose the future: you will think about the future risks when they occur instead of preparing for them early on. Secondly, as part of the same IMF and WB-driven reforms, social security contributions are shared between employer and employee and employers “save” on paying them by paying a small official salary and giving the worker the rest of the agreed upon sum in the proverbial “envelope”. This means that when a market risk (or pregnancy) occurs, workers stand to receive smaller sums they would otherwise get, as these payments are a function of their (declared) income. It is the same with the unemployment pay. Its amount is 60% of the average income of the sacked person for the 2 years prior to redundancy, yet if the worker left the job or has claimed unemployment money twice in a year, they will get only the minimum amount of 3,5 EUR per day for 4 months (instead of a percentage of their wage for the period of one year). In addition, Grigorova identifies another source of myth-mongering about the so-called “generous welfare system” in the face of state employees tasked with dispensing welfare. According to Grigorova, their existence hovers slightly above the poverty line which makes them ineligible for the support they hand on a daily basis to other claimants. Coupled with the bewildering complexity of the types of “needs-based” payments (which belies the ever-restrictive criteria for access), and the long and difficulty-fraught process of obtaining them, employees are under the impression that too much money is being spent on too many people (but themselves). In other words, the welfare state abandons even those workers directly employed by it, while its complexity obfuscates the obstacles claimants need to overcome. The final part of the report is dedicated to the types of actual welfare payments. Grigorova does not limit herself only to enumerating their variety but also demonstrates how cuts affect the disbursed amounts. For example, child benefits constitute 37% of the Agency for Social Assistance budget, down from 42% just 2 years ag. Payments to the poorest citizens constitute only 4% of the Agency’s budget. These 4% comprise the so-called “Guaranteed minimum income” (GMI) worth 65 BGN monthly (or 33 EUR) which is similar to the Universal basic income (UBI). The difference between them is that GMI is conditioned upon minimum income thresholds. But like the UBI, it is not enough for decent living. To add insult to injury, the criteria for access are extremely restrictive: the would-be beneficiary must not own an apartment with more rooms than they can occupy (otherwise it is assumed that they could rent out some of the rooms and live off the revenue); if they are unemployed, they must not have refused a job offered to them by the Labor Bureau, no matter what kind of job it is and whether it corresponds to the educational qualification, interests and experience of the claimant; they must not have refused land (even if they never worked in agriculture); and must not have refused to participate in any of the workfare schemes which demands of them 14 days of work per month, 4 hours a day for a total payment of 75 BGN. Given that the official minimum salary is 510 BGN at the time of writing, for a part-time work the salary should be at least half this amount. Instead, it is only a mere 14%, making Bulgarian workfare one of the most exploitative labor regimes in the EU (and perhaps beyond). One of the ways welfare is restricted stems from the method the minimum income thresholds are calculated. In a perverse fit of punitive accounting, the state takes into account the gross income and thus deducts welfare payments from it, despite the fact that the claimant receives after-tax money only. The percentage of welfare recipients in 2017 is 4.7% from a peak in 2014 of 6.6%, giving us the idea of the drastic reductions enforced lately on an already incredibly stingy system. The number of people honored to receive the “generous” GBI has been slashed by 20% each year since 2015. With regards to child benefits, in addition to the drastic limitation of eligible parents at the behest of the IMF and the WB in 2002, in 2016 the government transformed them into a vehicle for racist biopolitical regulation of the population. This it did by acutely diminishing the amounts given after the third child (the presumption being that mostly the Roma have more than three kids). Thus the payment for the first child is 37 BGN (19 EUR) per month, 25 EUR for the second, 23 EUR for the third and only 5 EUR for the fourth child. Further conditions for receiving this money is regular school attendance and vaccinations. Given that parents who are not on welfare and whose children skip classes “enjoy” no such disciplinary measures, the aim of this sanction is not to ensure regular attendance but to punish poor families by restricting their access to welfare further still, says Grigorova. Another reform was to stop child payments to parents of children who become parents in their teenage years. This measure, however, punishes girls only. Parents of boys who become fathers continue receiving child benefits. Between 2015 and 2016 the reduction in the number of pregnant university students who receive the one-off child support money stands at 76%. Austerity is not only a direct attack on minorities and the working poor. It also exerts profoundly negative effects on the welfare of women and poor mothers. According to official statistics obtained by Grigorova, the fraudulent claims comprise between 0.04% and 1.18% (in the most conservative estimate) of all recipients of welfare payments. The barrage of media and political demonization is grossly disproportionate vis-a-vis the handful of cases of proven abuse. For the full article, please, go to New Left Perspectives.